Every child has the right to a meaningful education. Unfortunately, certain disabilities can interfere with a child's ability to learn in a traditional school environment. By law, California schools are responsible for ensuring that every child receives an appropriate education tailored to his or her unique needs. If your child is not receiving the educational opportunities he or she is entitled to, you need an attorney who understands the complicated legal and emotional issues involved. The Law Office of Meagan Nuñez represents students with special education needs in San Diego, Imperial and Riverside Counties. Our practice is concentrated solely on education law to better serve clients in this complex area. 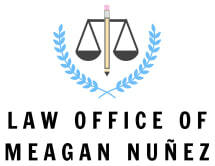 To learn more about protecting your child's educational rights, contact The Law Office Of Meagan Nuñez today. As advocates for children's educational rights, we offer services in all areas of educational law. Whether you are just starting down the path of determining if your child needs special education services or your school has failed to provide required services and you are facing a due process hearing or a special education compliance complaint, we can help. As parents, we bring a personal understanding not only of the law but also of the long-lasting impact of educational opportunities on your child's future. Because Meagan Nuñez is also a native of San Diego and a graduate of San Diego schools, our office is dedicated to helping local special-needs students obtain access to a meaningful education. When you hire us, you will not just be a nameless client in a file. We take the time to get to know each client and family individually. Even after your case is resolved, your child will not be forgotten. We follow up with our clients and monitor each child's educational progress until he or she graduates.